It’s not about how much time you spend working out, but how well you utilize that time. You can spend hours and hours in the gym and not get any results. But, you can do some quick exercises that will burn away the calories fast. With that in mind, we’ve decided to present you our picks for the 10 best sports for those looking to lose fat. These sports burn a lot of calories and also help you build muscle while not wasting too much of your time. Furthermore, these sports also don’t require too much money, meaning that anyone can practice them. So, with no further ado, here are the top 10 sports that burn the most calories! 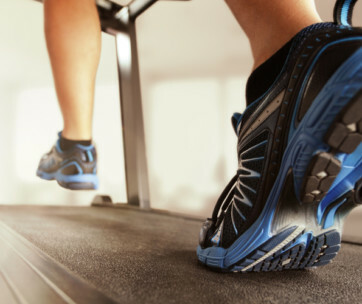 Running on a treadmill is an activity that can help you burn a huge amount of calories. Of course, it all depends on your running intensity, as well as on how much time you spend doing it. If you take it lightly and run at a speed of 5 miles per hour, you can lose about 500 calories in 60 minutes. One hour of running may seem too much, but the whole point of running on a treadmill means that you can do other things as well. For example, you can place a TV in front of it and watch a 1-hour episode of your favorite TV show. You can also put a laptop in front of you and watch YouTube clips or browse your friend’ photos on Instagram. Or, you can even do some work on your laptop while running on a treadmill. With a speed of 5 miles per hour, you will be able to keep your hands on the keyboard and still remain in balance. Of course, if the weather is nice, you don’t have to run on the treadmill. Instead, go outside for a jog. Running through interesting scenery should definitely help you fight off the boredom. Furthermore, you can always speed it up. You can run faster, but cut down on the time spent running. If you increase your running speed to 7 or 8 miles per hour, you will be able to burn as much as 700 kcal in 60 minutes. The biggest advantage of jogging is that it’s completely free. Just go to a park and start running. But, you do need to invest some money in equipment, in order to ensure you won’t get yourself injured. We’re talking about the most important part of your jogging gear –running shoes. 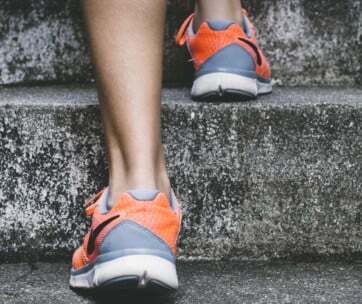 A good pair of shoes will prevent your feet from getting boiling hot while running, while also providing you with cushioning which is essential when running over hard turf. Similarly to running, cycling is another aerobic activity that allows your mind to wander off. You can do many other things while cycling, especially if you’re using a home bike for that. You can watch TV, play video games, listen to podcasts, and whatnot. And if you’re an adventurous spirit, you can go on a bike trip, which is guaranteed to be exciting. Whatever you do, you should know that cycling can help you burn a lot of body fat. On average, cycling can help you burn about 600 calories in one hour. Unlike jogging and running that make your legs do most of the work, swimming is an activity that makes your entire body work hard. Lap swimming (with some breaks throughout the workout) can burn over 700 calories per hour. This makes swimming an even superior alternative to other aerobic activities, but the good things about it don’t end there. Swimming is also great for your joints. That is, it doesn’t put any strain on them, unlike running for example. And if you swim in the ocean, salty seawater can have a good impact on your skin health. The only problem is that you can’t do anything else while swimming. But, on the other hand, everyone must agree that swimming is fun! Here’s another activity that you can do both in the gym and outdoors. If the latter is your choice, you will need a kayak, paddles, safety gear, and so on. It definitely seems like a good idea to invest in buying that equipment as kayaking can bring you a lot of joy. To save some money, you can always rent the kayaking equipment. But, if the weather is bad, you can do some rowing in the gym, under the condition that it has a rowing machine. This is an activity that will get your entire body involved, starting with your back muscles which will do most of the work. But, your arms and legs will also work hard, as well as your abs. The best thing about rowing is that it can burn a lot of calories. Generally speaking, an hour of rowing will burn off more than 700 calories. Furthermore, some rowing machines allow you to increase the workout intensity, which will result not only in burning more calories but also in making your body start building more muscle. There are two types of people in the world – those who think CrossFit is the best thing ever and those who hate it. Who’s right? We think the truth is somewhere in the middle. 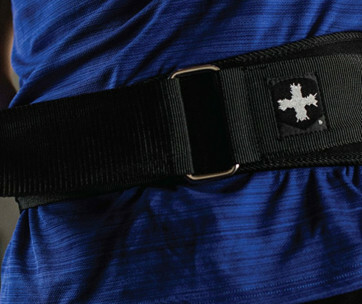 If you don’t do it right, CrossFit can make you look skinny-fat. What this means is that rigorous workouts may make your body burn muscle instead of burning fat. But, if you do it the right way, CrossFit can make you a Superman. A 30-minute workout can burn over 500 calories. We’ve mentioned a short workout for a reason – too much working-out can have very bad effects on your health, both physical and mental. Whether you decide to sing up for a kickboxing class or you decide to do a workout by punching the boxing bag, you will lose a hell lot of calories. There are so many great things about this sport for those who want to lose weight. First of all, it can burn away 300+ calories in half an hour, but it will also make your body start building lean muscle. The reason for that is that kickboxing will make your testosterone go sky-high. Apart from making you ripped, kickboxing can do well for your mental state. While kicking the bag, you can think of your boss, your ex, or some other person that has done you wrong. This way, you will kick out the stress, which in turn, will make you feel very good once the workout is done. Make sure to get a good pair of boxing gloves as well. An average soccer player covers about 7-8 miles in every game (90 minutes). They’re basically jogging most of the time, but from time to time, they need to sprint as fast as they can. Furthermore, this game also involves a lot of sliding tackles and even more aerial duels. And considering that soccer is a game, you’re guaranteed to have a lot of fun playing it. The only downside is that you need at least 10 other people to make up a team. And this can be very difficult if you’re bad at soccer. Here’s another fun game that basically brings the same kind of calorie-burning results as soccer. The difference is that you don’t need a big team of players to play a game of basketball. It’s usually played 5-on-5, but even 1-on-1 can be pretty exciting. When it comes to tennis you’re on your own. You’re taking on your opponent, meaning that you don’t have to beg anyone to join your team. And if you’re also having problems finding an opponent, you can play squash, which is basically a game of tennis in which you’re hitting a wall with the ball. Just get a good pair of tennis shoes and you are good to go. If you thought only aerobic exercises are good for fat loss, you’re very wrong. You can lose a huge amount of calories by lifting weights in the gym. 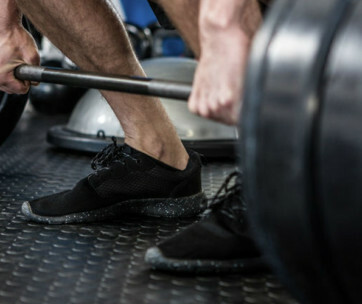 The trick is to push and lift as hard as you can, without making big pauses. 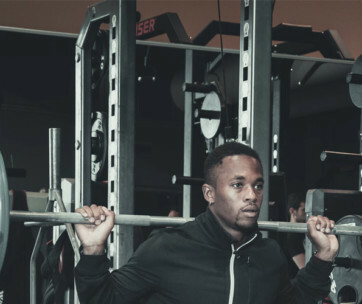 An example of a high-intensity weight workout is doing several series of weighted squats on squat racks with only short breaks (half a minute) between series. And when you’re done with squats, you can make a break of a couple of minutes before moving to the next exercise. 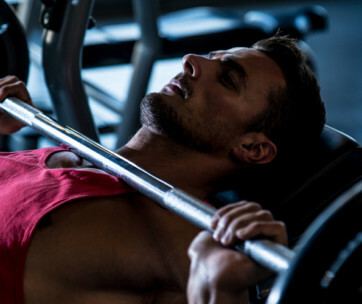 It can be anything from bench press to deadlifts; you just need to follow the same procedure. Our advice is to stick to a total of 4-5 different exercise, with 3-4 series each, per one workout. This way, the total time spent in the gym will be less than half an hour. But, you’ll get so much in those 30 minutes. Not only will you burn over 300 calories, but you will also make your body start building lean muscle, not to mention that this kind of workout will increase your testosterone levels.